The new "Star Trek" series will premiere in 2017 on CBS' All Access streaming service. "Star Trek" is about to boldly go online. A new "Star Trek" television series will arrive in our galaxy in January 2017, CBS announced on Monday. The new series will have a "special preview broadcast" on the CBS Television Network, but the premiere and first-run episodes of the series will run on the network's digital subscription video on demand platform, "CBS All Access." This is the first original series developed for CBS' streaming service. "Star Trek" is one of the most popular franchises in popular culture with an obsessed fan base that is arguably only rivaled by another outer space saga "Star Wars." With such widespread passionate fans, known as "Trekkies," CBS is hoping that many will now venture to the network's new streaming service in order to take part in the next space adventure. "Great now I have to subscribe to yet another SVOD service to watch the new 'Star Trek,' which I'll obviously have to do," tweeted Wall Street Journal reporter, Ben Fritz. 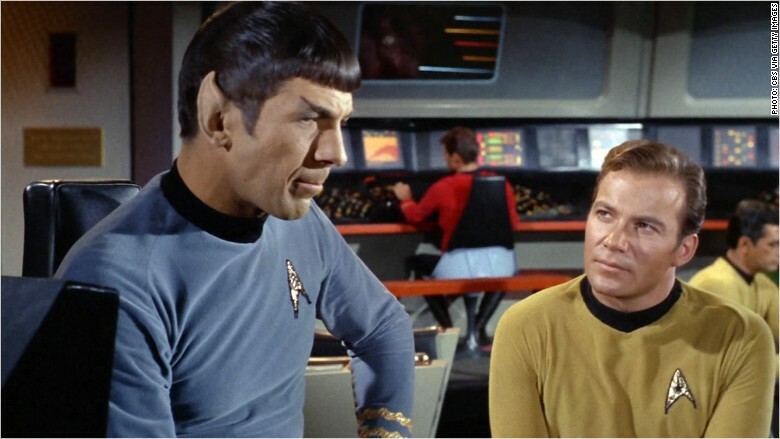 The series, which celebrates its 50th anniversary next year, has had about half a dozen television series over its run and multiple films including the 2009 reboot blockbuster, "Star Trek." "This new series will premiere to the national CBS audience, then boldly go where no first-run 'Star Trek' series has gone before -- directly to its millions of fans through CBS All Access," Marc DeBevoise, executive vice president of CBS Digital Media said in a statement. "We've experienced terrific growth for CBS All Access... We now have an incredible opportunity to accelerate this growth with the iconic 'Star Trek,' and its devoted and passionate fan base, as our first original series." Alex Kurtzman will serve as executive producer for the new series. Kurtzman co-wrote and produced 2009's film adaptation and its 2013 sequel "Star Trek Into Darkness," both directed by J.J. Abrams. CBS noted that the new series would not be related to the upcoming film, "Star Trek Beyond," which debuts in theaters next year. The crew for the new incarnation of the USS Enterprise is not yet know. It's also not clear if the classic spaceship will be involved. But CBS did say that the series will "introduce new characters seeking imaginative new worlds and new civilizations."